There's a time for tears and there is a time for laughter. Watch as Dennis Swanberg makes it time to laugh! Ecclesiastes 3:4 says… “there’s a time for tears and there’s a time for laughter.” This is one of those times you need to just sit back and laugh! 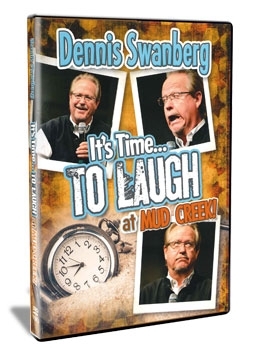 As the featured guest speaker for Clear Word Counseling Center and Mud Creek Baptist Church in Hendersonville, North Carolina, Dr. Swanberg delivers one of the most hilarious “nights of comedy” you will ever hear. With a packed house and an awesome audience to fee upon, “Dr. Swan” tells true to life stories (even embarrassing ones!) that you have never heard before! So hang on, It’s Time..To Laugh! Early service is the best…really!